Make: KSC / KWA / Umarex Gun/Model: HK Mk.23 SOCOM Accessories: 1x 26rd magazine, Rail adaptor, Clone SureFire X300V, Original slide, outer barrel and BBU Condition: Mint FPS: Gas dependent, <328FPS Splits/Swaps/Part Exchange: No/No/No Price/Payment: £425.00 plus shipping, PayPal Pictures: As below, more available on request. For sale is a KSC/KWA HK Mk.23 SOCOM. 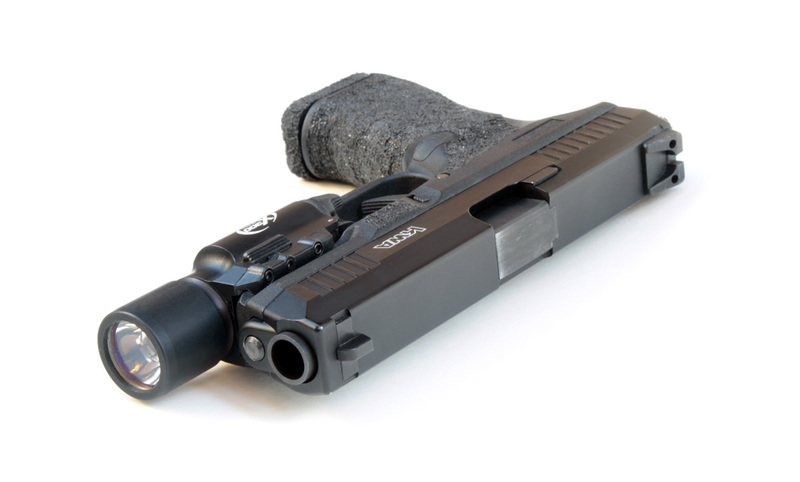 This is a GBB pistol licensed by Umarex with full HK trademarks. To make this pistol the most realistic and best-performing Mk.23 available, it has been comprehensively and completely upgraded with the very best the aftermarket has to offer, including: Mafioso Airsoft steel slide and outer barrel. This fully CNC-milled kit is notably better than the RA Tech alternative, with a more resilient finish and higher-quality machining. This kit is fully trademarked and no longer available. Volante Airsoft 'Aurora' high-volume BBU. This has a steel housing and aluminium nozzle, both CNC-milled, and is of a much more advanced design than the factory System 7/New System 2 unit. In particular, it has a much larger internal volume, allowing exceptional performance with the very heavy slide and outer barrel despite not using CO2 magazines. RA Tech 150% recoil spring for snappier slide return. 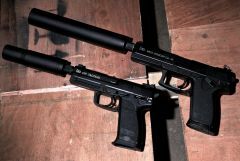 G&P limited-edition welded steel KAC OHWS suppressor with full trademarks. 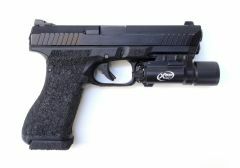 This is the most realistic OHWS suppressor on the market, but is not available from the factory in the 16mm CCW thread which all airsoft Mk.23s use. This particular example was professionally rethreaded to suit the gun. Custom-made Mk.23 MIL-SPEC-1913/'Picatinny' rail adaptor, CNC-milled from billet aluminium. This fits over the proprietary HK rail and screws into the front of the trigger guard, just like the original Wilcox and Insight LAMs. This is far more secure than the alternatives currently available on the aftermarket. 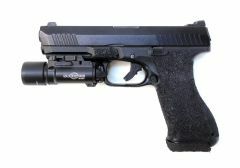 The gun will be supplied with the original KWA aluminium slide, plastic outer barrel, and complete BBU. 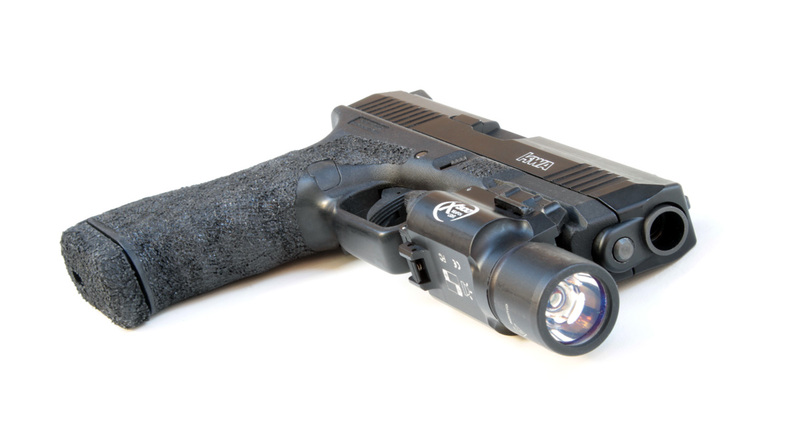 If so desired, the clone SureFire X300V pictured with the gun can be included. The gun is in mint condition with no marks. It has never been skirmished; the overwhelming majority of the shots it has ever fired (about 250) were for the function video included in this listing. This pistol retails in the EU for approximately £175, the slide and outer barrel kit retailed (when available) for approximately £230, the BBU for approximately £100, the suppressor for approximately £45 including rethreading, and the rail adaptor for approximately £15 for a total retail value of £565. The SureFire retails for approximately £45. If you have any questions, please don't hesitate to get in touch. I know there is already a review on this gun here already but i didn't want to just hijack someone elses thread. I hope that that is alright otherwise could the mods please merge the two together if that is appropriate. Okay this is the newish KWA RM4 ERG - not the catchiest of names i grant you but still, there we go. Still not available in the UK through UK retailers but it has been around for a while in the Far East and the US for a while now. Given that though, there is very little in the way of reviews out there for it say in comparison to its competiton the TM recoil series. This is a collabaration between PTS and KWA and features magpul furniture and metal body. To the best of my knowledge it is the only product that has survived Magpul's departure from the airsoft marketplace. This is therir version of TM's recoil shock line of AEG's and very nice it is too. I haven't fired a TM one but i have owned several GBBR's and the kick on this is far superior. The sound is also better than a standard AEG and is somewhere inbetween a GBBR and AEG. 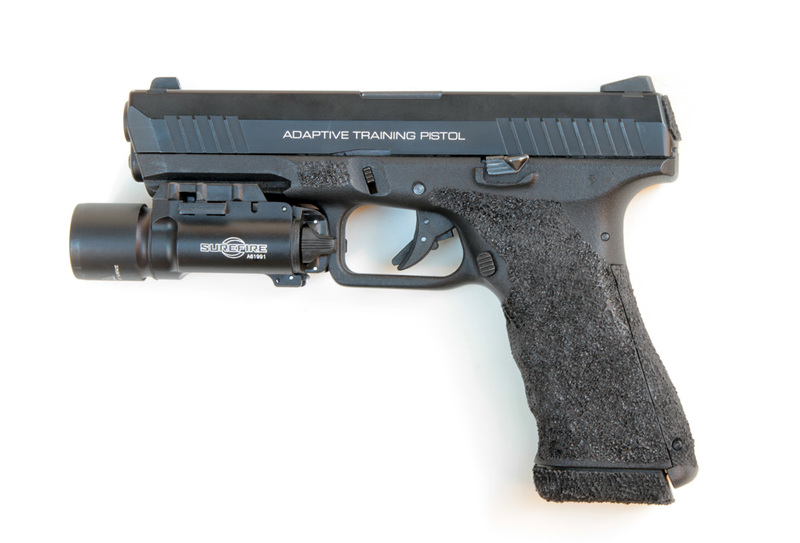 Like the TM recoil series; it isn't quite a training weapon but it aint far off in terms of function as it feeds every last round, locks back when empty and in a bonus no TW offers - it kicks! the gun comes in the usual PTS branded packaging which is nice and sturdy and yp to the job of protecting the RIF in transit. I ordered mine from ehobbyasia along with two boxes of the PMAG's for it. Total price including shipping and customs charges was around the £400 which is pretty good i think. and here with the extra mags The gun is absolutely solid and feels like it has some weight to it. the quoted weight is 3.5Kgs and its believable. For such a small gun it feels like it's made from DU! As I said there is nary a rattle or squeak from the gun and it is well made and finished too. It is front wired with mini tamiya connectors in the MOE handguard. It is a tight squeeze but i manage to fit a 7.4v 2600mah 25c split pack lipo in there and it gives a reasonable rate of fire - nothing earth shattering but for me that's fine as I'm not about the insane RoF's some hanker after. 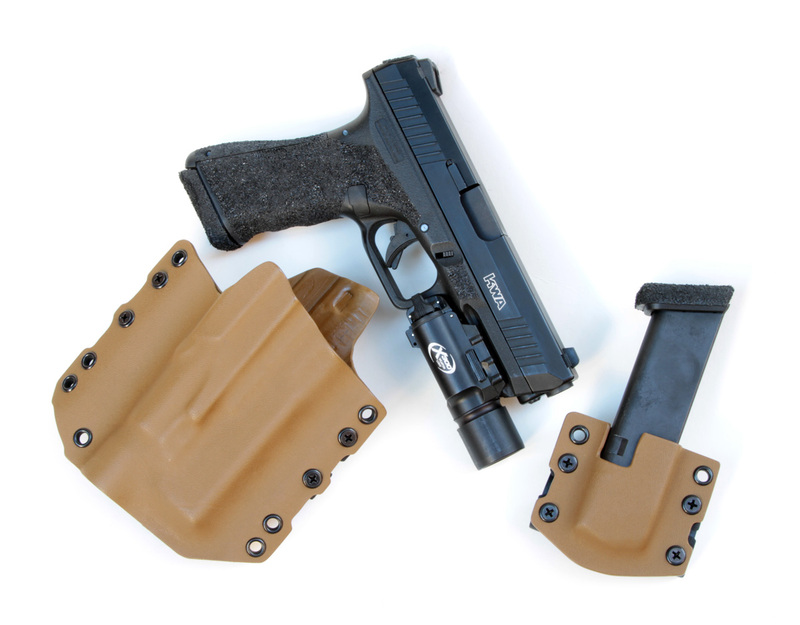 The mags are proprietary PMAGs and can be switched from 30 to 60 rounds by taking the base plate off, pushing the inner down from the top and pushing a little switch across. It's a nice touch but i will probably leave it on 60rnds to be honest. I like the fact they have the fake feed lips on the top like a real PMAG. its purely asthetic but a nice touch. Also on the top you can see the little lever at the back of the mag that activates the bolt stop. The follower also is unique and quite long and worryingly thin when extended. It is this way to allow the mag to feed every last BB. Quite nice when you've only got 30-60 to begin with! I'm worried it might snap off with rough handling but i have been assured they are quite resilient. The great benefit of this system over the TM recoil gins is its ability to take standard AR mags without any modification. Admittedly you lose the bolt stop and stop fire features if you do this but at least if you're out of ammo in a fight a mate can chuck you a STANAG and you're back in the game. I haven't chronoed this yet but have heard they are around the 350ish mark which is ideal as it will be used almost exclusively in woodland games. I will field it for the first time in Jan and will add to this then with an after action report. Overall though thus far I'm really happy with it. In fact - I need to go and have a play with it now! so scoring out of 10 I'll go so far as to say 8.5/10 and thats only because i haven't actually used it in anger yet!! I'm sure it will nudge up a bit after that! If it does perform as it shoud then i could be quite tempted to sell my other AEG's and buy a couple more of these especially if they release it with a standard Colt style metal body - to make an M4A1 and an M4 CQBR too. I just need to find a small enough lipo to fit in a RIS unit so i don't have to have a battery box and external wires. Thanks for reading and if you have any questions I'll do my best to answer them. 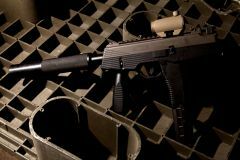 The KWA skorpion has been an anticipated release for a lot of people waiting for something a bit easier to obtain the a Maruzen Vz61. I finally was able to pick one up 2 days ago, and put it through its paces at a reaction course. Onto some common questions, no the gun is not full metal as some have claimed. And no, the frame is not metal either. 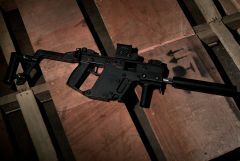 The gun is entirely made out of rather heavy plastic.with the exception of the locking bracket for the stock, various pins and switches, and the outer barrel. It is, however, very heavy. It doesn't *feel* like the average plastic gun. So while the lack of metal externals is a disappointment, it still has a very nice heft and a good solid feel. The stock itself, is actually kind of wobbly and a little disappointing. The wobble comes from both the locking mechanism, and a slightly loose fit in the stock bracket. 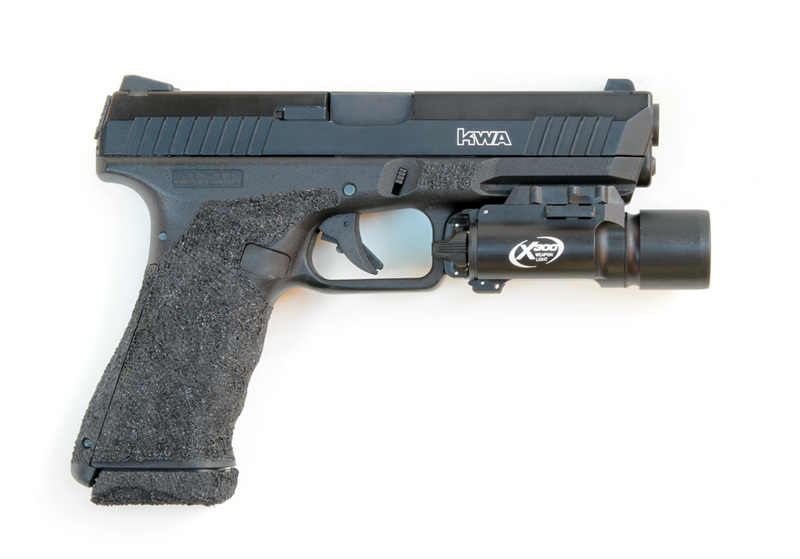 Of course, real skorpions have some wobble as well, but the kwa stock wobbled when both open AND closed. I might try bending the front sight out a little to see if that can be corrected. The internals seem to be made of steel, or at least aluminum. Usual KWA fare though, I wouldn't expect to have any trouble with them any time soon. Accuracy seemed to be very dead on for the 50 or so foot range I was using it, firing at 6 inch steel targets. My only real issue was that I kept thinking the sides of the front sight were the front sight post. I'm not used to the sight picture yet. But accuracy seemed more then reasonable. The firing rate is unfortunately very high, which empties the 20 round mag in about a second, meaning its usefulness on full auto is limited at best. a rate reducer is cosmetically featured in the grip, plunger and all. However, as there is no catch to grab the bolt and lock it, it is completely non functioning. Therefor the rate of fire cant easily be reduced to something more useable. Overall i feel that this release is a bit of a mixed bag. On the one hand, it is very weighty and solid, however it just seems very unusual for it to have been made of plastic, especially after all the SHOT Show claims of full metal. The loose fit of the stock seems kind of cheap, but it is very accurate in semi auto. I wasn't missing many shots at all. Perhaps in the future someone will come out with a metal kit to really make this the gun it should have been. For now though it is quite useable and a good deal if the VZ61 is your kind of gun, and you dont want the hassle of tracking down parts and mags for the older Maruzen. KWA ATP Slide Modifications: - Replaced the OEM rear sights with 10-8 Performance Glock Rear Sights - The front sight is the OEM front sight but with NiteSiters Glow in the dark dot installed for low/no light - Painted out the frame engravings. 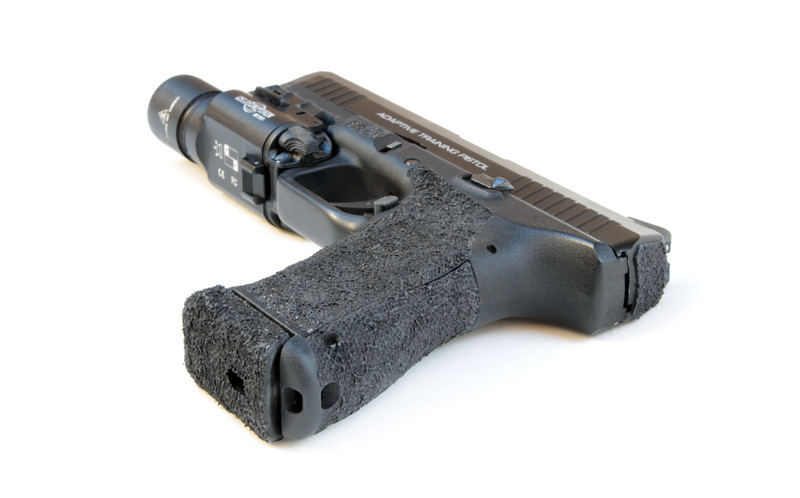 - Rubberized 3M Grip Tape on rear of the slide to enhance reholstering and for practicing CQC drills Heavy frame modification: - 360° Frame stippling (back strap is still removable). Includes undercut/radius of trigger guard and beavertail areas for a more comfortable / higher grip on the gun, closer to the bore axis. - Trigger guard modification, where the bottom edges of the trigger guard are fully-radiused and polished blending into the grip. Trigger guard is then stippled. - Internal opening of trigger guard is enlarged to allow easy entry/egress of trigger finger; opening is polished to eliminate resistance/friction on trigger finger. - Stippled forward frame flats. - Removed finger grooves from front-strap. - Smoothed the tang where the webbing between the thumb and index finger contacts the frame - Vickers Tactical Extended Slide Release - Polished the trigger job for smoother action - Recessed and smoothed out the area around the mag release button for a cleaner and easier press - Stippled base pads Added SureFire X300 Standard internal upgrades per most KSC/KWA Glocks.